First look at Bishop! 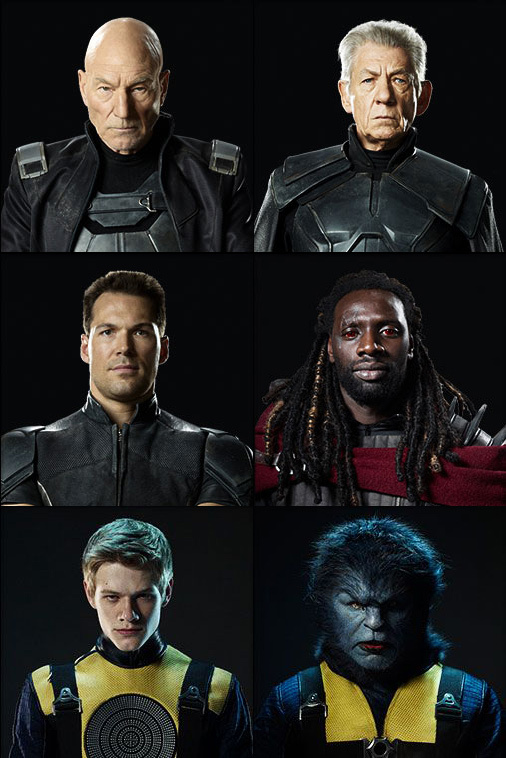 20th Century Fox has unveiled the first character photos of Xavier, Magneto, Colossus, Havok and Beast along with our very first look at Omar Sy (The Intouchables) as Bishop from X-Men: Days of Future Past. Bryan Singer’s highly anticipated sequel to 2011’s X-Men: First Class is expected to have a panel in Hall H at this year’s San Diego Comic-Con. Check out the character photos below. Earlier today, the studio debuted the film’s title treatment (check it out above) and teased the mutant-hunting robot Sentinels with the new Trask Industries viral site. ‘Days of Future Past’ stars Hugh Jackman, Patrick Stewart, Ian McKellen, Halle Berry, Anna Paquin, Ellen Page, Shawn Ashmore and Daniel Cudmore with X-Men: First Class stars Michael Fassbender, Jennifer Lawrence, James McAvoy, Nicholas Hoult and Lucas Till along with new additions: Omar Sy, Peter Dinklage, Fan Bingbing, Evan Peters, Josh Helman, and Boo Boo Stewart. The film is based on the ‘Uncanny X-Men’ comic book issues #141 and #142, published in 1981. The “Days of Future Past” storyline introduced the idea of an alternate future involving the X-Men that grew out of the Brotherhood of Evil Mutants killing an important senator that lead to a future where all mutants are hunted by Sentinels.